Please excuse his harness--we're currently using the tether method for general housetraining purposes. Hahah, now that's out of the way.. I just have a few general questions about my new boy. I did search the threads prior to posting and wanted to see if the situation merits further consideration. She's around 45lbs or so and at a good lean weight according to the vet. First question is a fun one--any breed mix guesses? Or does he look pretty strongly Husky to y'all? Second question -- I'm debating whether or not he needs to be on a Large Breed Puppy formula. Right now, he's on Wellness Puppy (switched from 4Health with no stomach upset) and doing well. Poop looks good, no digestive troubles. Because I don't know what his sire was, I'm unsure if he's going to be 50lbs+. Right now, he's about 13.5lbs at 10 weeks (he'll be 11 weeks on Monday) old. Any input on the need for Large Breed Puppy food? I should also add that I'm planning on pushing his neuter as close to a year as possible. The rescuer wanted to neuter him at 12 weeks old and I was able to convince her that this isn't the best decision, in my opinion, and is not what I'll do with my dog. Mom looks to be a wooly husky, possibly a bit of Malamute, though that is iffy guess. 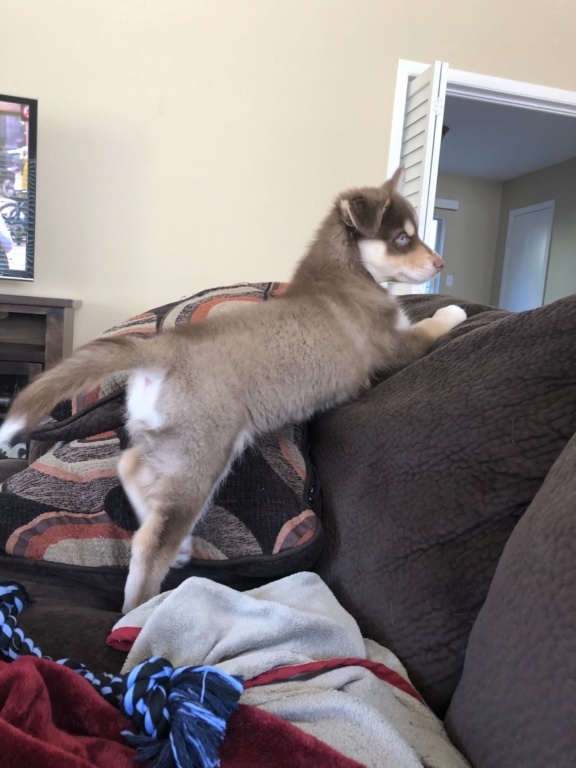 Pup looks to have normal coat I see in that pic. I would hazard full husky but would need better pictures of structure. Realizing I don’t have many pictures of him simply standing so I’ll try to grab some today. I think any quality puppy food is fine. We used Kirkland Nature's Domain Puppy food until they were about a year. 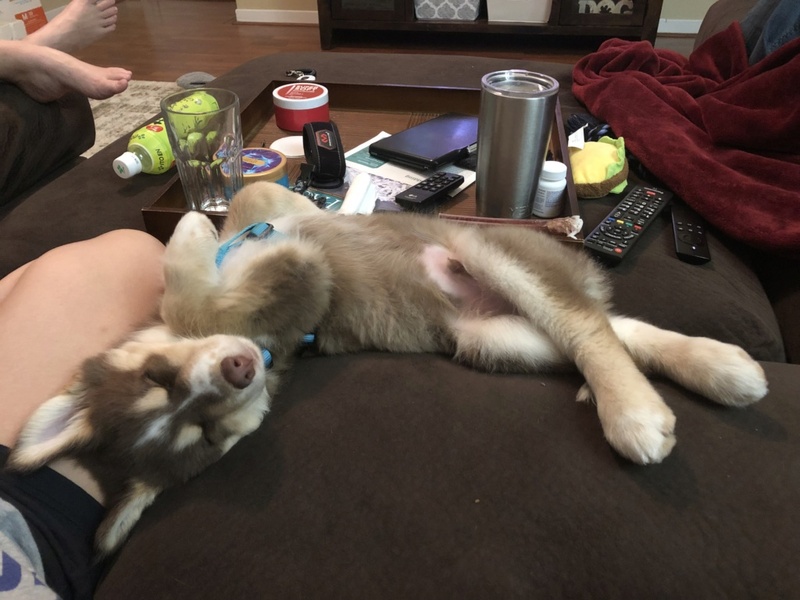 Subject: Re: 10 Weeks Old - A few questions!